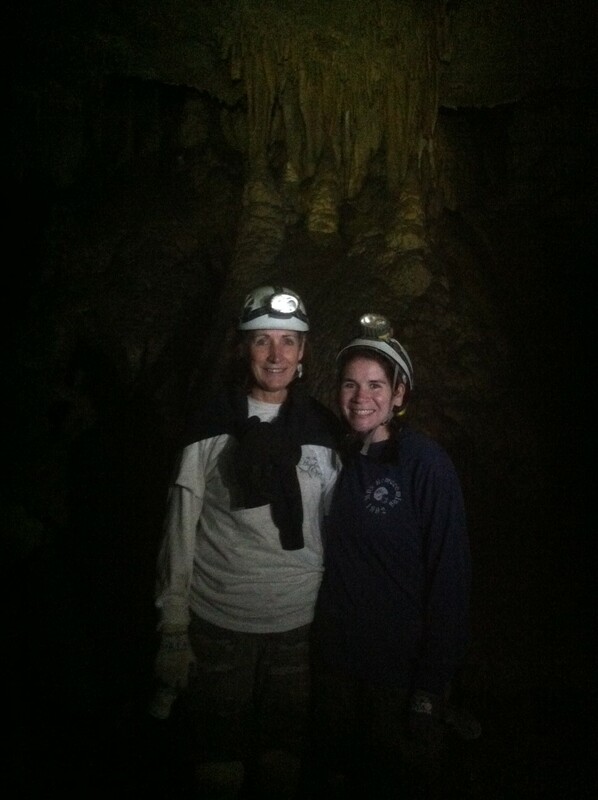 I’m backtracking, because I cannot not tell you about this most awesome adventure my Mom and I had this year! 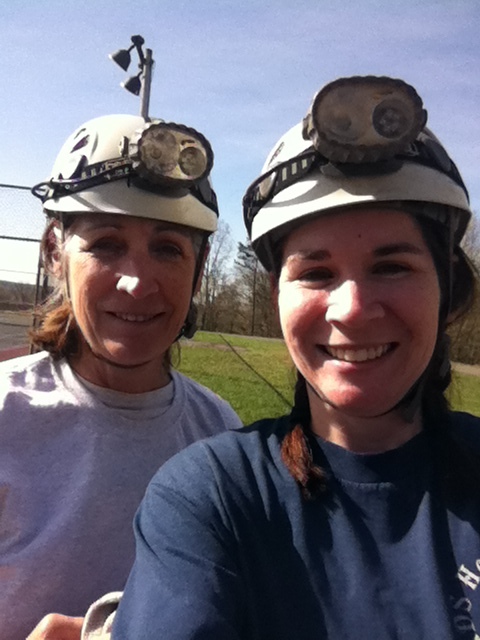 My Mom’s birthday is in April, and this year to celebrate, she and I went caving at Cloudland Canyon State Park. So! For this adventure, I signed us up for a 2-hour tour with Georgia Girl Guides. I read everything on their website. I explained it all to my mom and asked her if she would do it with me. She (of course) said YES. And then we did it. And it was THE. BEST. EVER. Even though I felt prepared after everything I read, and even though I expected to really, really love it — it surpassed my expectations. I just was IN LOVE with it. 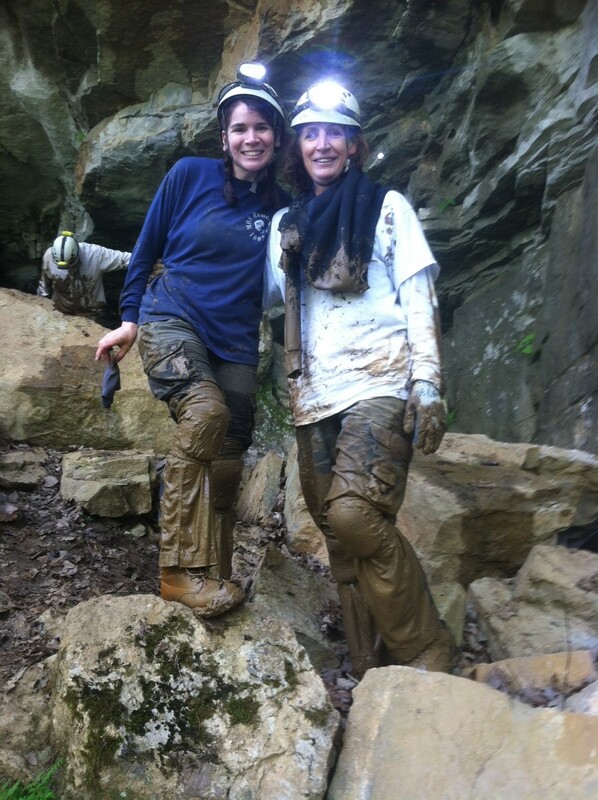 Here’s the deal: They tell you to wear clothes and shoes that you don’t mind getting really wet and really muddy. They tell you to bring a change of clothes. They supply you with knee pads, helmet with a light, and gloves. And they explain everything to you that you see. The girls that run this company are awesome. I felt like they were my friends. We had cool people in our group (a family with a couple teenagers) and it just made for an awesome experience. I was so happy my mom was there to experience this with me. We trekked through knee-high cold water. This surprised me! For some reason, I thought it would be like…ankle-deep? No. 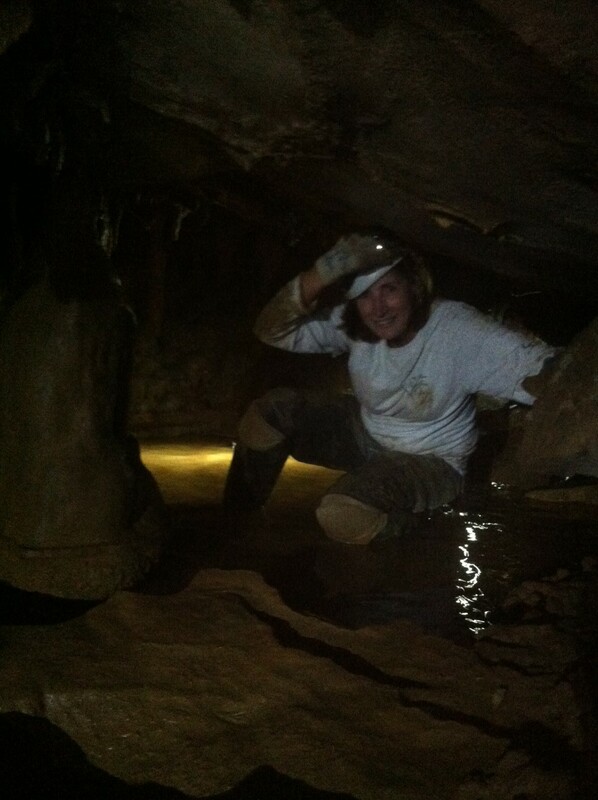 You pretty much enter the cave, and then jump in to cold water and walk through it for a while. There are parts of the tour that are not in water, but I think about half is. 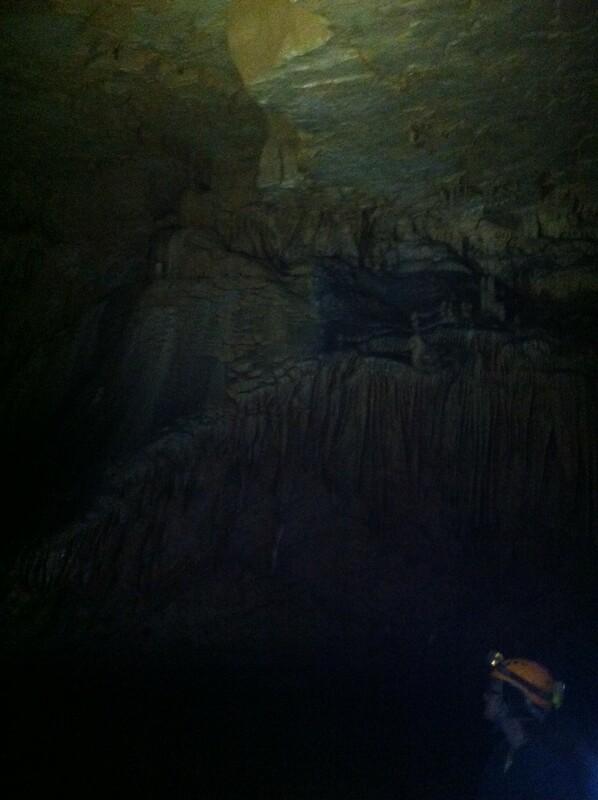 The cave is so beautiful and amazing. Just something I never dreamed I’d see. It was awesome! 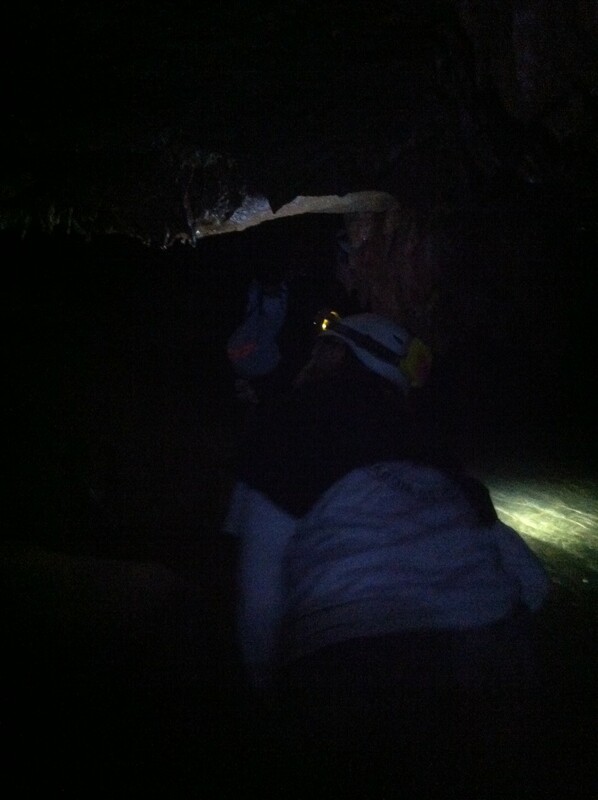 And toward the end of the tour, our guides had us sit down and we all turned off our lights. I have never “seen” dark like that before. Such a cool experience all around. I truly, truly cannot wait to do it again. 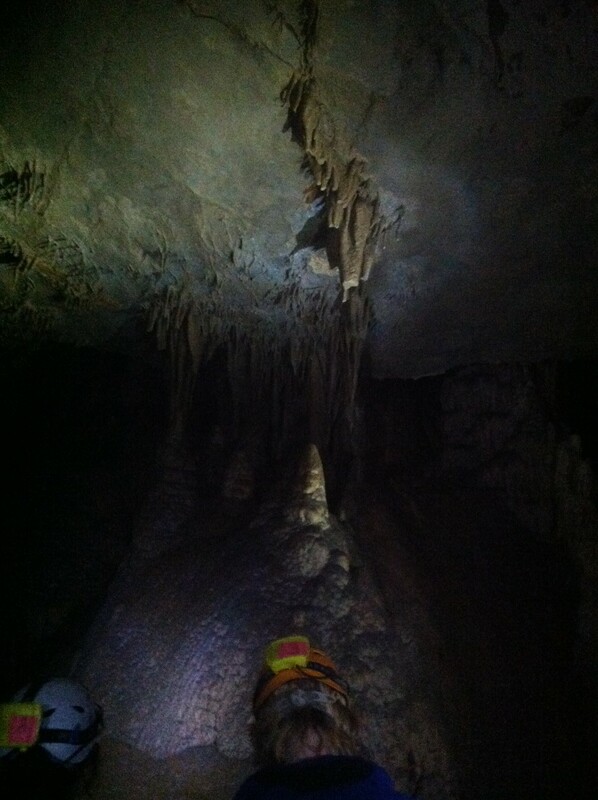 That hole is what we climbed out of at the end of the tour. Crazy! 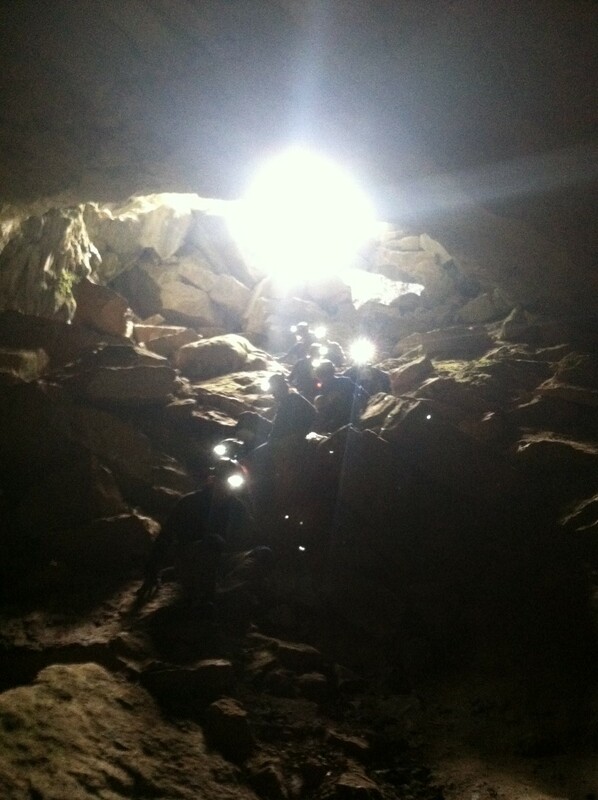 I had my iPhone in a waterproof case on this trip — so my pics look like…they were taken with an iPhone. 😉 Still amazing, though, right?! 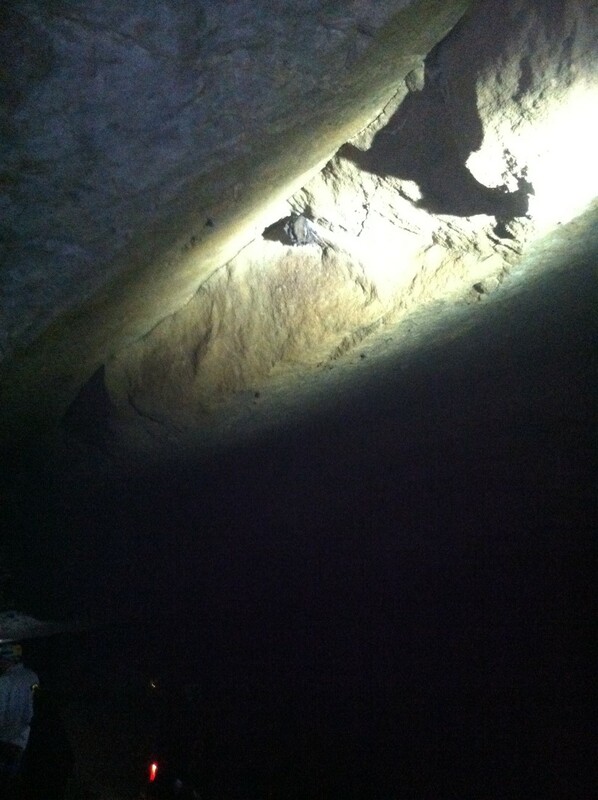 That’s a cluster of about 7 bats sleeping together. 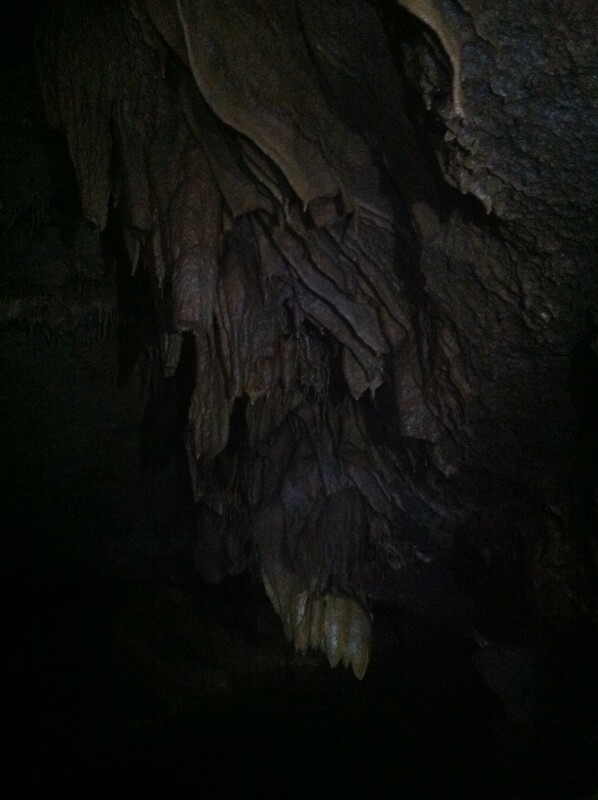 The formations at the top right were called “cave bacon” because it looks like…bacon strips! 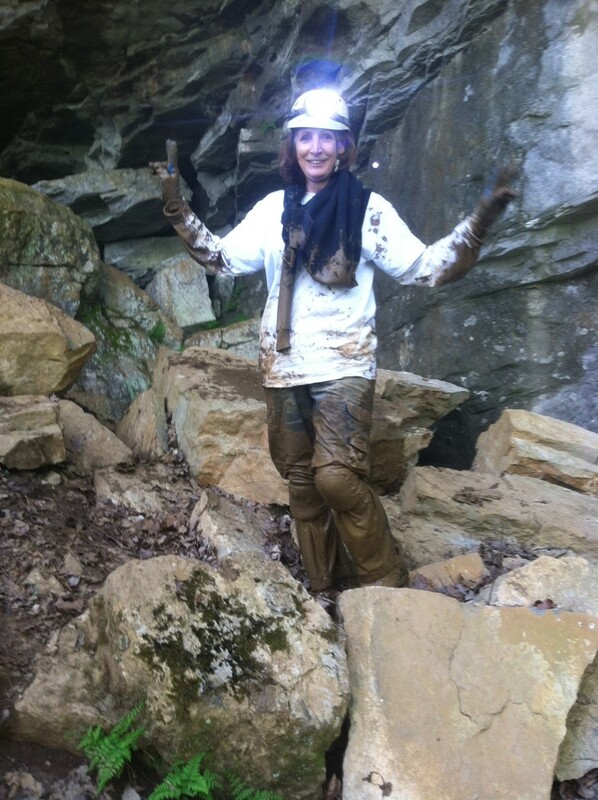 This was Mom after she did a “challenge.” You didn’t have to do this, but some things were a little more challenging and they gave you the option. We did all of them! This one was crazy — you had to seriously angle your head a certain way to squeeze through a spot that looked impossible. But we did it! So cool. So impressed with my mom. 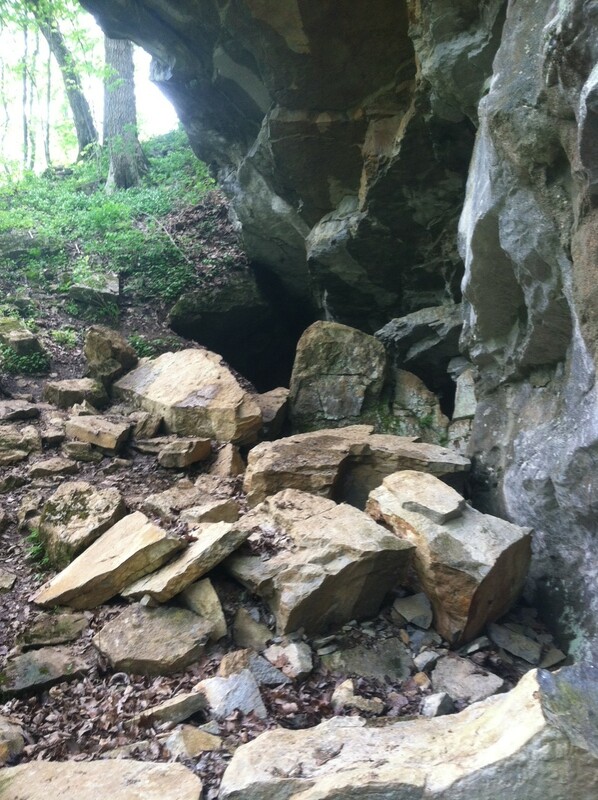 This entry was posted in Family, Georgia Outdoors, Georgia State Parks, Travel. Bookmark the permalink. 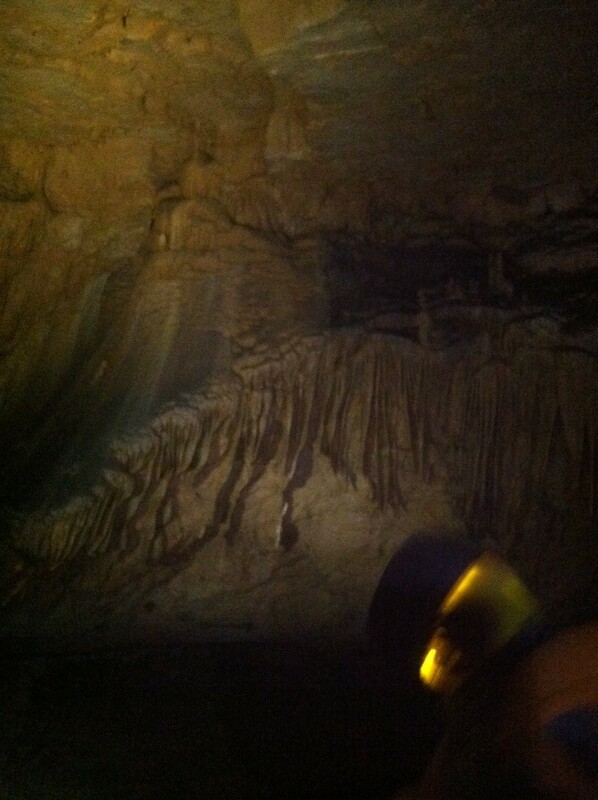 2 Responses to Caving At Cloudland. Looks like you both had such a great time!